Each spring the city of Verona, Italy – most famous for providing the backdrop to Shakespeare’s ‘Romeo and Juliet’ – plays host to Vinitaly, one of the largest wine fairs in Europe, with over 4,000 exhibitors and well over 100,000 visitors attending from around the world. Vinitaly features four days of events, meetings, tastings and targeted workshops designed to foster relationships within the wine industry and present the diversity of Italian wine to the rest of the world. For members of Total Wine’s buying team, Vinitaly provides a great opportunity to not only check in with current suppliers but also seek out new and exciting products in the world of Italian wine. 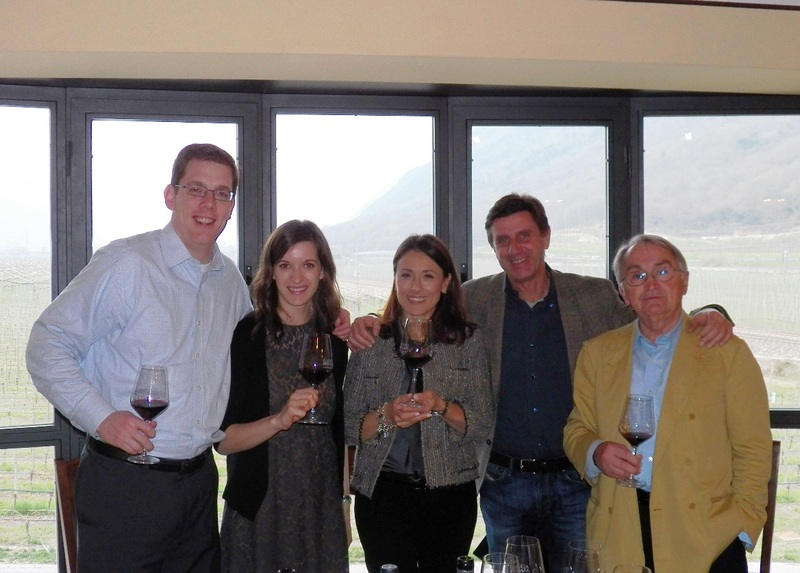 This year’s visit was no different, as our Italian wine buyers, Matt Bardill and Julie Feltovich, kept themselves very busy by meeting with over seventy suppliers, including at least ten new producers – in total over twenty-four hours of meetings in just four days! While Vinitaly provides a great setting for one-on-one meetings, for our buying team the experience is enhanced by leaving the four walls of the convention center and getting a firsthand look at the winemaking process. 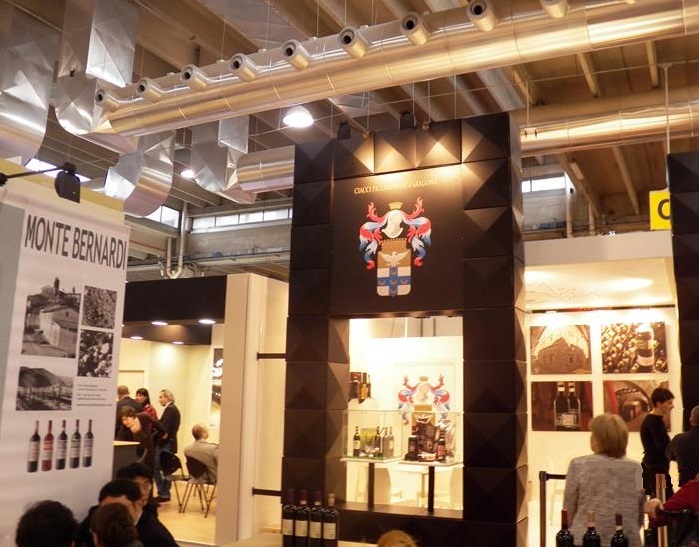 Combining the meetings at the show with visits to individual wineries allows our buyers to not only understand the process behind the wine but also get a better idea of the culture and flavor of Italy – so time before and after the show is set aside to travel to our partners’ wineries across Italy. Matt and Julie traveled to almost twenty wineries in all during their visit to Italy, traveling through numerous wine regions like Piedmont, Tuscany and Venezia. 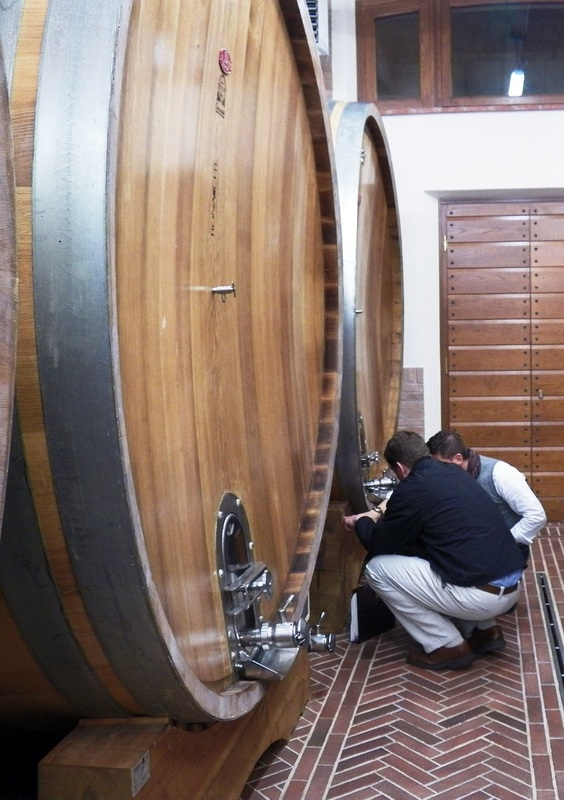 At each estate they were given grand tours of the production facilities and the grounds, allowing them to see how Italian winemakers have blended the ancient traditions and historical buildings with modern systems and processes – and at the end of each tour, the best part of the winemaking process: tasting the wine! Among the highlights was a tour of Cantina del Redi in the ancient town of Montepulciano, home of a cellar believed to be over 2600 years old and the setting for a number of Hollywood films… most recently ‘Twilight: New Moon’. A visit to Botter Carlo gave the buyers a glimpse of the massive production process for one of our top-selling Pinot Grigios, as they were guided by one of the wineries founding brothers, Arnaldo. And a stop at Castello della Paneretta, located between Firenze and Siena, provided a breathtaking 180-degree panorama of the region and a view all the way to the Alps. Although very busy, the ten-day trip was a great experience for our buying team. Old partnerships were strengthened, new and exciting ones were forged, and everyone gained a better understanding of how to bring Italy to our customers.